Exercise is vital to maintaining healthy bones. 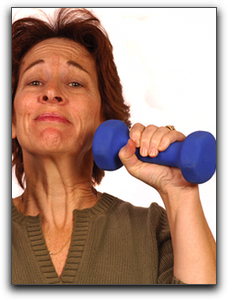 Exercise can strengthen bones and muscles as well as prevent falls. Simply taking a walk or using a treadmill as a weight bearing exercise that is helpful because you work against gravity. Another good weight lifting exercise is to include weights into your exercise routine. Stair climbing, running and hiking are also great weight bearing exercise options.